In my day, you needed a college email address to join Facebook. I am fully aware that I just significantly aged myself, but a lot has changed since I joined Facebook back in 2007 (while sitting in high school study hall, mind you). From how statuses were written, to being able to Like a post, and even how often I used to poke friends, Facebook is entirely different. Another huge difference is how the News Feed looks. With so much more to do, say, and post on Facebook, the News Feed is more overwhelming than ever. You can now share Stories and even go live on Facebook (something I would truly never do). 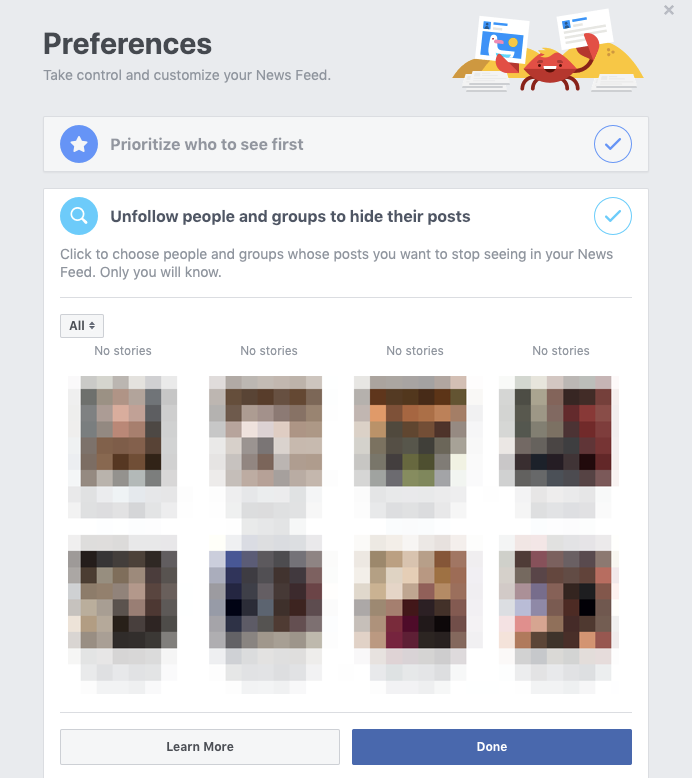 Luckily, it’s relatively easy to change your Facebook News Feed preferences. When you tailor your News Feed settings to exactly who – and what –you care about, Facebook is more fun and a lot less overwhelming. Unsure how to do so? We break it down for you. Update which Friends you see first and which to Unfollow. Reconnect with Friends you've Unfollowed and ones you've Snoozed. For those who didn’t see the movie The Social Network (if I’m being honest, I watched it solely for Justin Timberlake), you may be unaware of the history of Facebook and all that it’s been through. For instance, they long ago got rid of needing a college email address to make an account, which is why my grandmother and other members of my extended family are able to have a Facebook. Because of this, almost everyone I know is on Facebook, making it easy to add Friends from all walks of life. However, this also means that I have a long list of Facebook Friends that I don’t necessarily care to see their every single status update, life announcement, or vacation photo. Thankfully, Facebook makes it easy to edit your News Feed settings to see only the content you care about. To find out how to do so, keep reading. 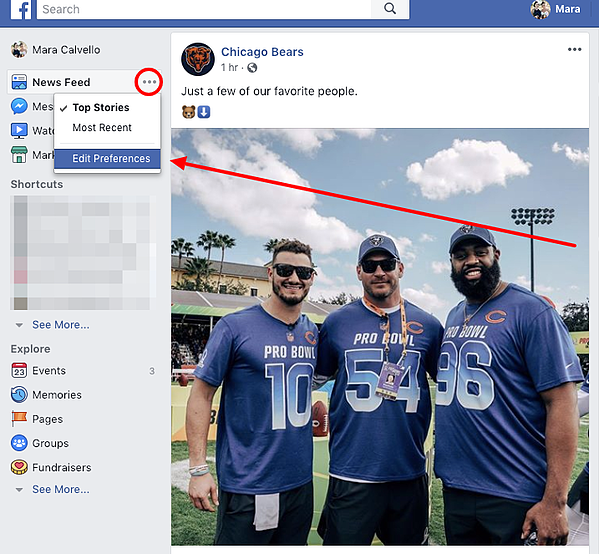 There are a few ways to edit the preferences of your Facebook News Feed. 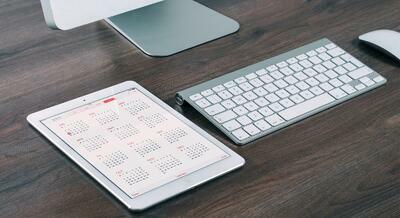 The main way to change a variety of settings is from your News Feed itself. On the left-hand side of your News Feed, click the three dots where it says News Feed. Then, choose Edit Preferences. 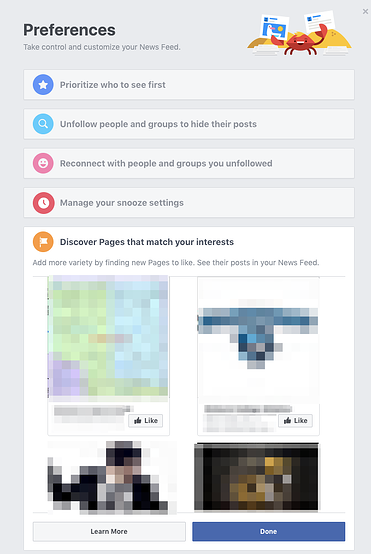 Take control and fully customize your News Feed by choosing which Friends you see first. This means, when you log into Facebook, if any of your See First Friends have posted since your last login, their updates will be at the very top of your News Feed. From this list, you can see which Friends you have selected to See First (they have a blue star by their profile picture) and scroll through to either add new or remove Friends you’d like to see first. One of the most underrated feelings is Unfollowing a person you no longer wish to see updates from. Whether it’s an ex or an overly political relative, it’s a nice feeling knowing you won’t have to see anything they post on your News Feed. From this list, you can choose which Friends or Groups you’d like to unfollow. 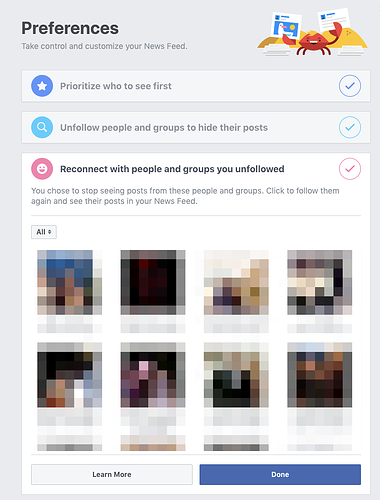 You won’t see their posts in your News Feed, and, better still, they won’t know you’ve chosen to Unfollow them. Missing someone you’ve Unfollowed? Give them another chance by reconnecting. 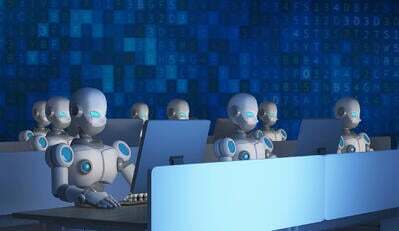 Just select their name from this list and their posts will be on your Facebook News Feed again. Snoozing is different from Unfollowing because when you Snooze a Friend, they only disappear from your News Feed for 30 days. This is perfect if you’re going to miss the Game of Thrones finale, and you know they’re going to post a spoiler. From this list, see when a Snooze will end, or choose to restart a Snooze that has ended. A Facebook Page is a public page created for businesses, brands, celebrities, causes, or other organizations. 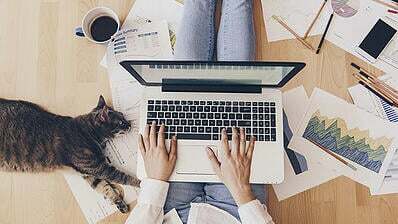 If you’re looking to enhance your News Feed with different forms of content, you can discover new Pages from this list by Liking them. 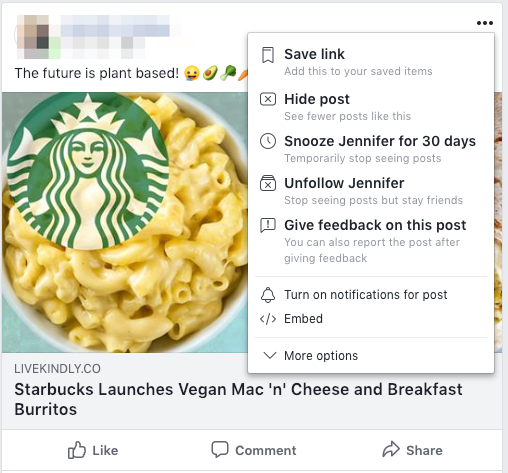 When you’re scrolling through your News Feed and you come across a post from a Friend you’d like to Unfollow or Snooze for 30 days, you can do so directly from their post. Click on the three dots by their name and from this dropdown you can choose to Snooze or Unfollow. You can also hide that specific post if you’d still like to see their updates, just not that exact one. Related: Find out how to turn off Facebook Notifications. 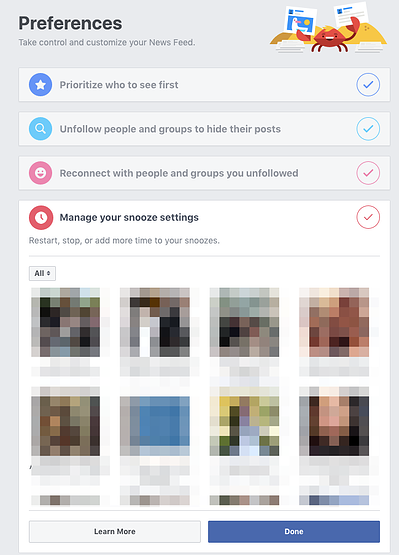 Just like a Facebook Friend, you can Snooze or Unfollow a Facebook Page you have Liked from your News Feed. 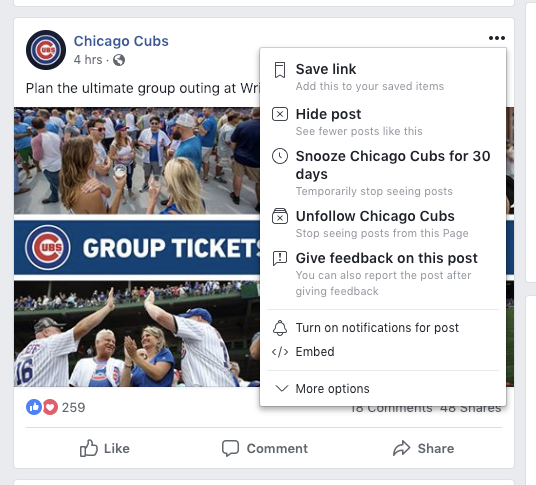 In the same way you do with a Friend, click the three dots by the Page name and choose to Snooze, Unfollow, or hide that specific post. 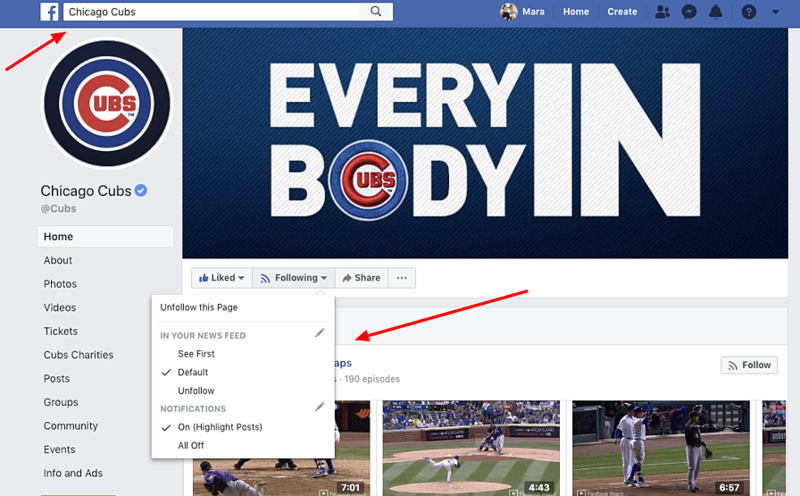 You can also edit the settings of that Facebook Page from its profile. Just navigate to that Page in the Search bar, and click the Following button. There, you can choose to see their updates first, default (their usual order) Unfollow, or receive notifications from the page. 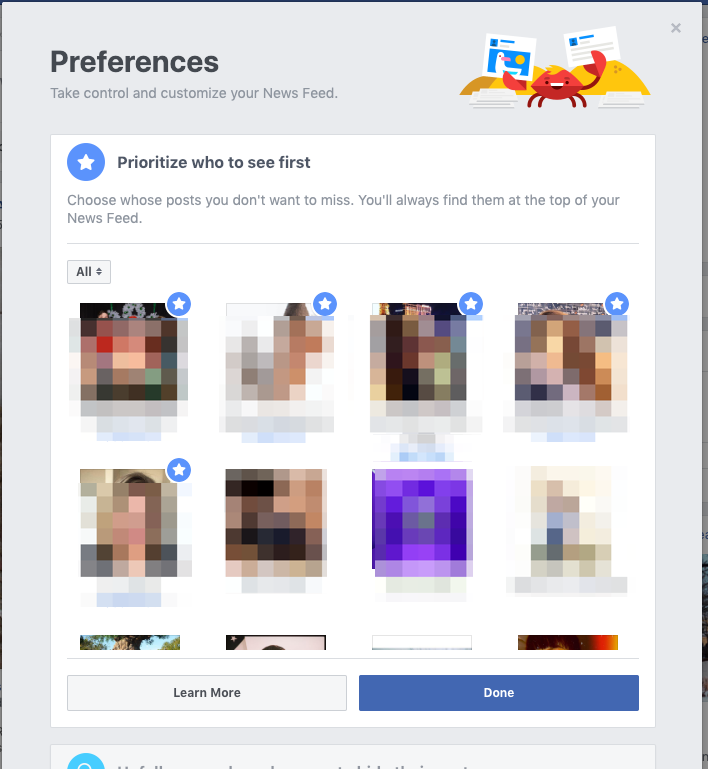 Or, if you want to be done with this page altogether, unlike the page on Facebook and you won’t have to worry about their posts, or being suggested a similar Page to Like. Just hover over the thumbs up Liked button to make changes. And nothing you don’t. 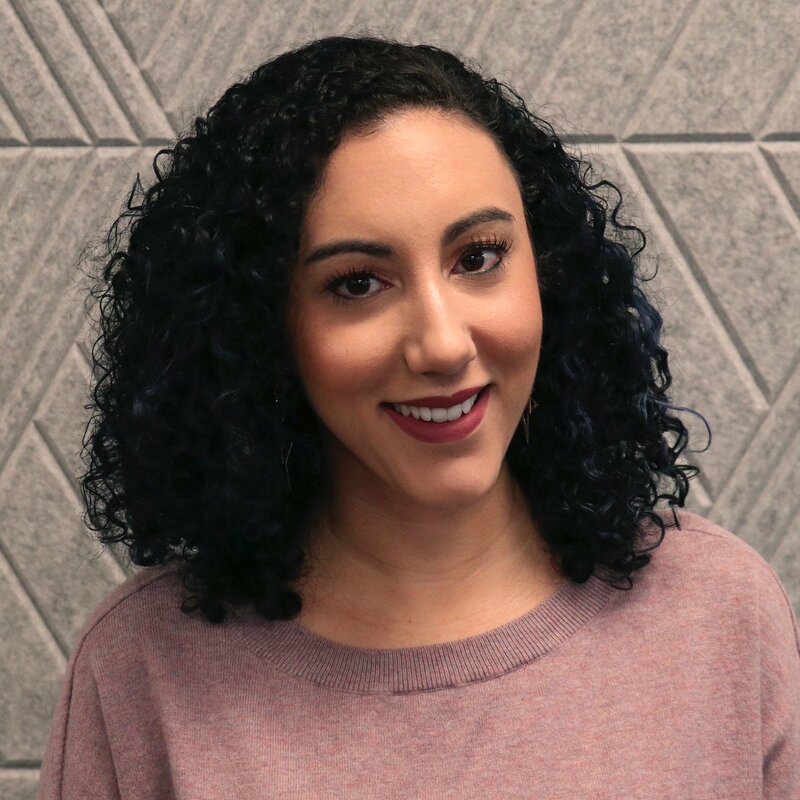 The next time you’re scrolling through your Facebook News Feed, take a look at the preferences and see if there are any changes you can make to enhance your Facebook experience, and quit seeing so many newborn announcements.